On Saturday April 19, 2014, in keeping with the Narragansett Running Association’s mission to give back to our running community, NRA members, Terri Martland, Ray Issaco, and Murray Norcross, volunteered at the Boston Athletic Association’s 5K Race, that kicks off the Boston Marathon weekend. Over 10,000 runners turned out for the BAA 5 K that started on Charles Street near the Boston Common, over nearby streets, Beacon, Arlington, and Commonwealth Ave, ending back on Charles Street after taking the runners down Boylston Street and over the heralded BAA Marathon Finish Line near Copley Plaza. Terri, Ray, and Murray were assigned to the T shirt station where they distributed over 10,000 race shirts to the finishers. The weather was cool to start but Sunny. A near perfect 5K race day. A television crew from CBS News invited Terri, Ray, and Murray up to the CBS News Morning Show for a visit to their booth after learning that they had traveled up from Rhode Island to help out at the race. The nationally televised “CBS This Morning News” broadcast with Charlie Rose will come live from their outdoor news room set up on Boston Common. 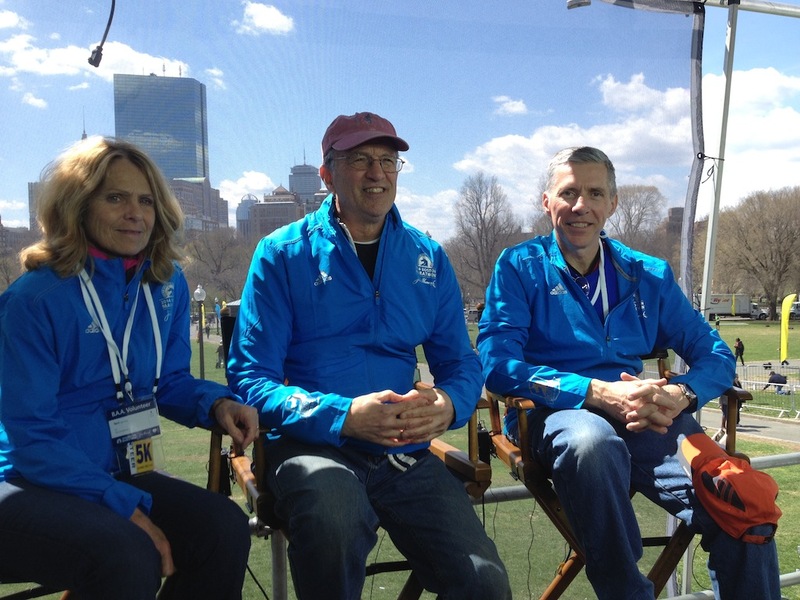 In the photo attached, Terri, Ray, and Murray are sitting in the news anchor chairs with a spectacular view of Boston’s Back Bay area that includes the John Hancock Tower, The Prudential Tower, and The Boston Public Gardens. CBS News will be covering the 118th Boston Marathon from this special news set on Monday April 21, 2014 beginning at 0700 am on local CBS affiliate Channel 12, WPRI in Providence. Today’s Thursday run is the last from Camire’s before moving back to the beach for the summer. Thanks to Murray for supplying the following two photos. The first shows the runners assembled in front of Camire’s before a recent Thursday run, and the next shows some of those people running down the bike path. 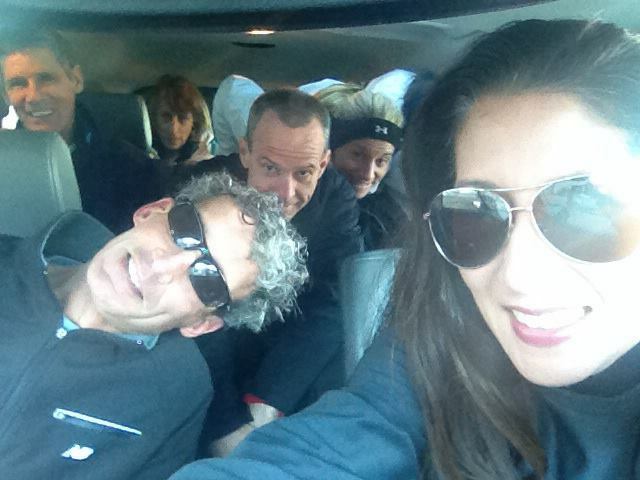 Driving to the New Bedford Half Marathon. Diane Senecal, Chris Spaight, Nicole Rattay, Mary Camire, Vinny Hey, and Laurie Feit-Melnick. 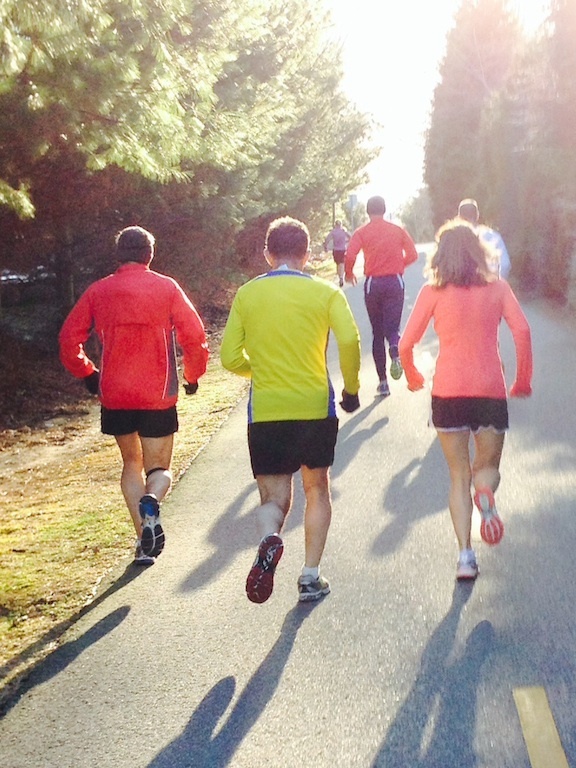 We had some very impressive performances the past few weeks leading up to Spring Marathons. With the winter coming to an end and the chilling weather behind us, a few NRA runners are in the final stretch to Boston, Cox Providence, Big Sur, and Gettysburg Marathon. Brody Williams (age 11) ran a PR of at the Beat the Chill 5K. Make sure you congratulate this superstar the next time you see him! Congratulations to Diane Leith-Doucett for placing 3rd in her age group at Oceans Run Half Marathon. Way to go Diane! Diane ran a 1:35:20 which is a 7:17 pace. A BIG congratulations to Stephanie Canter who ran her first half marathon at the Oceans Run. Breaking two hours with a time of 1:51:37. Keep up the good work Stephanie! Despite the pouring rain, the NRA had a good showing at the Quonset 10 Miler. Paul Letoile placed 2nd overall, with a time of 1:08:48. Laurie Feit-Melnick took first place for the women and 3rd overall running a time of 1:12:18. Congratulations to Laurie and Paul, your hard work paid off! The New Bedford Marathon went off without a hitch. A little windy at times but overall a nice day for running. Vinny Hey and Mary Camire placed first in their age group, while Diane Senecal took 2nd for the masters division. 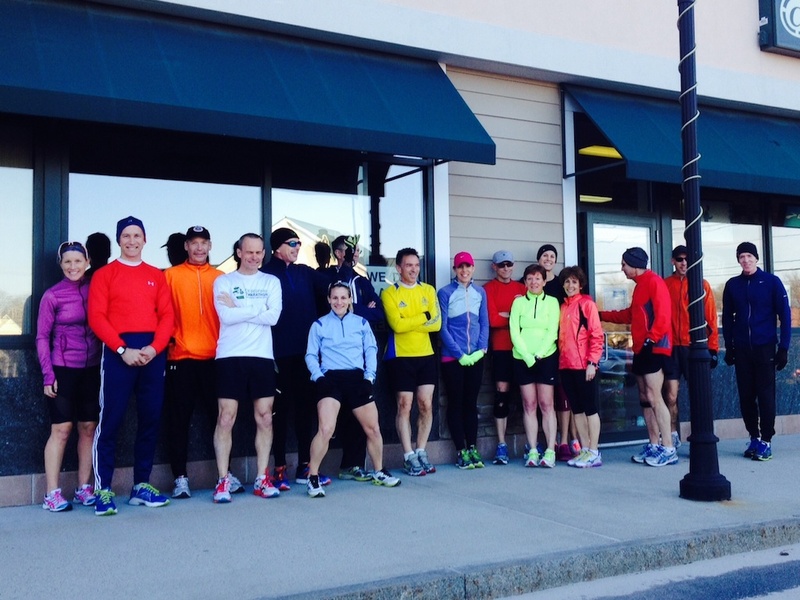 This race draws in some of the best runners in New England. Great work team!! The NRA welcomes back runner Glenn Anderson from his hiatus. Glenn ran the Pound the Pavement 5K on March 29th. Great to have you back Glenn!